NSW: Can a parking offender's car be towed from common property? You are here: Home / Parking / Parking NSW / NSW: Can a parking offender’s car be towed from common property? NSW: Can a parking offender’s car be towed from common property? This article about whether a car can be towed from common property has been provided by Leanne Habib, Premium Strata. Question: We have a non resident who irregularly uses visitor parking while he commutes. He has no connection with our scheme. Are we able to tow his car and is it the best option? We are having some trouble with a man who uses one of our visitor parking spots. He’s not a resident here nor does he appear to actually visit anyone in the building. I believe he uses the space for a commuter car park since our building is not too far from the local train station and the vehicle is only there 9am-6pm during the week. He doesn’t park there every day but at least once a week. We have a sign that says ‘Visitor Parking Only’. It also states that offending vehicles will be towed away but in the case of this man, I’m not sure if we have a legal leg to stand on. Are we able to tow his car? Do we need to first give written notice? Is there anything else we can do about him or is towing really the best option? Answer: As the vehicle is only parked one day at a time you will not satisfy the notice requirements needed for towing. (1) This clause applies to a motor vehicle left on common property that is placed so that it blocks an exit or entrance or otherwise obstructs the use of common property. (2) The owners corporation may take action under this clause if the owners corporation has placed a removal notice on or near the motor vehicle and the requirements of the notice are not complied with within the period specified in the removal notice. 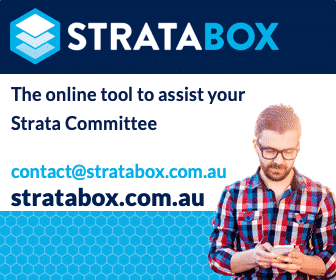 (e) specify contact details for a member of the strata committee, the strata managing agent or a delegate of the owners corporation in relation to the notice. On a practical level you could install lockable bollards (with the proper resolutions). Alternatively, you may wish to contact Local Police as the car is trespassing on the common property. Under the new NSW strata legislation, the Owners Corporation has finally received new powers to tow vehicles in breach of by-laws. On the downside, the Owners Corporation must tolerate the offending vehicle for at least five days before it may take any action. Can a car be towed from common property? Upon service of a compliant “removal notice”, a car that blocks an exit or entrance or proper use of the common property may now lawfully be moved by the Owners Corporation and the Owners Corporation may make application to NCAT to recover its costs. The vehicle may be moved to another less obstructive position on the common property or another lawful place off the common property. However, the car cannot legally be moved until the expiration of a period of at least five days in compliance with the removal notice. The legal requirements for a removal notice are set out in Regulation 34 of the Strata Schemes Management Regulation, 2016 (NSW). An NSW Owners Corporation enforcing a removal notice should exercise a high degree of care and caution when moving vehicles to avoid liability for any damage caused to an offending vehicle. The new legislation also enables an Owners Corporation to enter into an agreement with local council in relation to a strata parking area if approved by special resolution. Then, local council would erect signage on the common property and would be empowered to issue parking infringement notices. The offending person is guilty of an offence which carries a maximum penalty of 5 penalty units. A penalty unit varies from state to state, however, the monetary value of a penalty unit in New South Wales is set out in Section 17 of the Crimes (Sentencing Procedure) Act, 1999 (NSW) and equates to $110 per unit, therefore, the parking fine could be up to $550! Residents in breach of any by-law risk that the Owners Corporation makes an application to NCAT for the imposition of a civil penalty for breaching the by-law. Such penalties are quite severe. This penalty carries a monetary penalty of up to 10 penalty units (which is $1,100). A repeat offender (ie one who was fined $1,100 and breached the by-law again within 12 months of being fined) can be fined $2,200. Any owner who is in breach of the occupancy limits set out in the legislation is potentially liable to fines of $5,500 and $11,000. In the event that an owner breaches an NCAT Order to, for example, stop smoke drift, or remove an animal, Section 72 (3) of the Civil and Administrative Tribunal Act 2013 provides for a civil penalty. These penalties have increased to up to $11,000 for an individual and $22,000 for a corporation. The new strata legislation has enacted a new restriction on by-laws, namely, that a by-law cannot be unjust, harsh, unconscionable or oppressive. Whether or not a by-law falls afoul of these restrictions is determined by NCAT. Further, any such by-law may be invalidated by NCAT. We hope you found this article useful. This article is not intended to be exhaustive and we recommend you speak with your strata manager in the first instance. This post appears in Strata News #138. Question: I have an unregistered vehicle in my designated parking space. My neighbour has threatened to tow the vehicle. Can my car be towed? Yesterday, I obtained a project vehicle with no plates (or motor or anything of the sort). The vehicle is in my assigned parking space and is obviously making no noise whatsoever. It is simply sitting there until I put it into storage. One of my neighbours has said if I haven’t moved the vehicle within two weeks he will have the vehicle towed away. Is it legal for the car to be there and also, does my neighbour have any right to threaten this? Can my car be towed? Answer: Generally speaking, no, the Owners Corporation has no right to tow your vehicle. Generally speaking, no, the Owners Corporation has no right to tow your vehicle. It is not placed in such a position that the new towing provisions of the new strata legislation apply (i.e. it is not blocking an entrance or exit and is not obstructing common property). The project vehicle may, however, infringe another by-law applicable to the scheme (eg in keeping with the appearance of the building or what may lawfully be stored in a car space). However, even then it is unlikely that the Owners Corporation has any powers to lawfully tow your car from your own private property without your consent. This post appears in Strata News #168. Question: Can a car be towed if there is no bylaw? Do we need to implement a towing bylaw before we can tow from vehicles parked on common property? Can a car be towed if there is no towing bylaw? Is it enforceable to tow? Answer: Yes, vehicles may be towed from the common property. Yes, vehicles may be towed from the common property. (Note that even if there is a by-law, such by-law may be unlawful). Removal of offending motor vehicles is now governed by the STRATA SCHEMES MANAGEMENT REGULATION 2016 – REG 34 Removal of motor vehicles: section 125 of Act. This is the only lawful manner in which to remove motor vehicles in certain circumstances and the process must be adhered to strictly. Note that this section does not extend to vehicles parked in private car spaces. This post appears in Strata News #179. Question: Is parking on common property without approval allowed if the common property isn’t being used? I have been told I cannot park in front of my garage as it is common property. I am the last unit in my scheme, right at the end. No cars come up this end of the parking area and we all have to reverse out of our driveway as the turning point is too narrow. Can I park in front of my garage? The owners corporation said I am blocking the common property, but I am the only one who uses this part of the drive. Can my car be towed? The Act does not permit residents to park on common property approaches without the prior written consent of the Owners Corporation even though the subject common property area maybe in front of individual garages or be in a difficult, tight space. Parking of individual lots should be restricted to the lot space and not encroach onto the common areas adjoining the lot space in any way. NSW: Strata visitor car parking angst, a common source of resident disquiet! Has your car been towed from common property or do you have a question about towing an offenders vehicle? Leave a comment below. The interest here is the language used by the Parliament. We have ‘may’ which is a discretionary term, then we have the combination of the ‘may’ with an ‘if’ which I will not interpret because that is for the courts. The most interesting part is the ‘must’ of (3). ‘Must’ appears over 250 times in the Act. It can mean the OC has an inescapable obligation to act, an imperative, such as the must of s 106 which is the section about maintenance and repairs but then ‘must’ can also be simply a procedural term in which case non compliance with the ‘must’ leads to no real consequence. Such as the ‘musts’ found in section 1 of the Act that related to general meeting procedures (see Sher Global case for a good example). The ‘must’ of Reg 34 (3) appears to be very much the same type of ‘must’ as the ones in Sher Global and if that is the case then there is nothing invalid about an action taken without complying with that ‘must’. Someone needs to tow a vehicle without meeting with the ‘requirements’ of the notice and see what the courts (or Tribunal) have to say. The real fun of the SSM Act and ‘must’ is you can’t know what a particular ’must’ means until after the case. A simple valve stem remover will fix intermittent parking. Is it enforceable to tow if there is no bylaw? Removal of offending motor vehicles is now governed by the STRATA SCHEMES MANAGEMENT REGULATION 2016 – REG 34 Removal of motor vehicles : section 125 of Act. This is the only lawful manner in which to remove motor vehicles in certain circumstances and the process must be adhered to strictly. Note that this section does not extend to vehicles parked in private car spaces. (5) The Tribunal may, on application by the owners corporation, order that the owner of a motor vehicle moved to another place under this clause, pay to the owners corporation the reasonable costs incurred by the owners corporation in moving the motor vehicle . “motor vehicle” has the same meaning as in the Impounding Act 1993.